This page contains a single entry by Keith Cowing published on November 18, 2016 3:07 PM. Is NASA Going #BackToTheMoon Or On A #JourneyToMars ? was the previous entry in this blog. 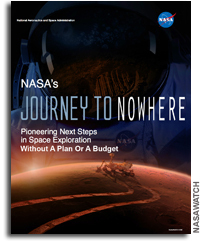 NASA Administrator Names: Getting Stuck In The Rumor Mill is the next entry in this blog.